I am pleased to introduce the owners and operators of Adventure Edge (Pvt) Ltd. 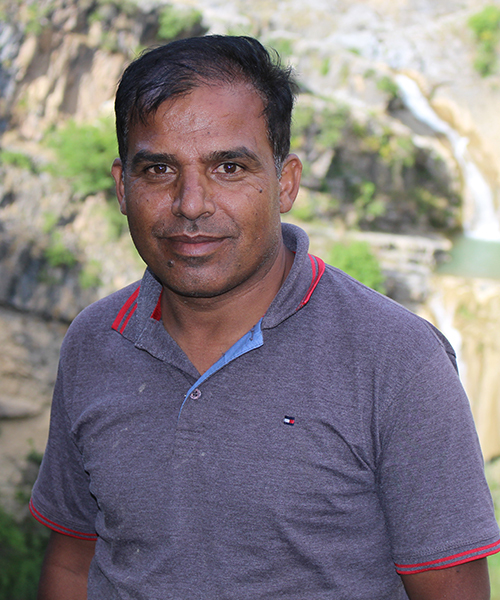 I am Khalid Khalil, I served as the Director Training & Operations in one of the best outdoor educational institute of Pakistan. I have the honor of being the pioneer of adventure sports in Pakistan. Let me introduce my co-owner Mr. Ali Azhar, he is an MBA in finance and account. He also has profound interest in nature and adventurous activities. We believe in setting and maintaining the highest standards in our professional lives. In 2014, we decided to start our own company by name of “Adventure Edge” to promote adventure sports independently and to take it to the new levels of excellence. For that purpose we have purchased all vehicles and relevant equipment with new top of the line equipment. We continued to concentrate on human resource initiatives ad well as investing in the maintenance and upgrading of our plan. The years 2015-2017 proved to be very productive years of us. We entertained almost 4000 people by providing a lifetime rafting experience in the rivers of kunhar, Jehlum and swat river. We are the pioneers of white water sports in Pakistan specially experts in rafting, Kayaking and canoeing. We are the first one who did kayaking in River Kunhar/ Jehlum near Muzaffarabad. As instructors we trained more than 2000 students in rafting and kayaking. We endeavor to promote white water rafting / Kayaking and canoeing as an adventure Sports in Pakistan. Adventure Edge (Pvt) Limited is a registered tour operating company base at Mansehra. Its objectives are to promote White River Rafting, Kayaking and canoeing in Pakistan. Adventure Edge mostly deals in commercial rafting, kayaking and canoeing tours and all river based attraction programmes in Pakistan. Our mission is to provide the safest, most professional, enjoyable and friendly experience to our clients. People can have an opportunity to learn how to preserve the natural environment as we also educate them how to keep our rivers clean. Our trips prove a positive outdoor experience for them. Rafting tours are safe, fun and a breathtaking experience to be enjoyed. This experience does make a difference. Our highly qualified and service oriented staff is committed to come upto your expectation so as to make it the most memorable experience of your life. ADVENTURE EDGE has its own permanent guides who love water sports, they are professionally trained and their skills are unrivaled. They strive hard to make your trips unmatched. During the trip every raft is controlled by two trained guides, Passengers safety is our 100% guaranteed. The dedicated, highly skilled and most enthusiastic outdoor professionals are waiting for you. ADVENTURE EDGE offers rafting tours in various rivers of Pakistan particularly, Neelum River, Jehlum River, Indus River, Swat river, chitral river and Kunhar River. Adventure Edge also offers white water rafting training programme for students of school, college and university.